Thread in 'Strategy' started by Cublex (CBX), 28 May 2017. 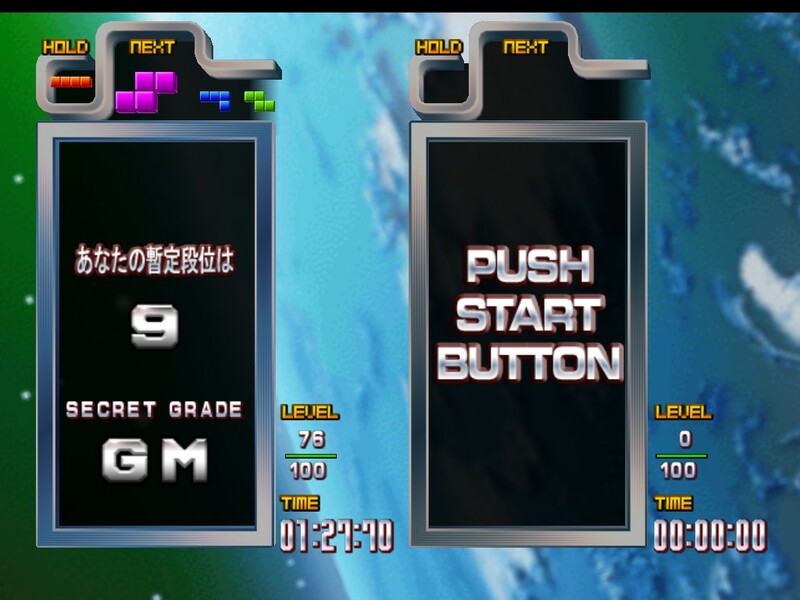 So while playing TGM3 for my first time I found a strat that shaves off some frames and may help around the first few 100 levels. Everybody knows that when you sonic drop, it doesn't lock. However, if you hold down to slow drop a piece to the bottom it locks instantly. Is this already a thing? Is this useful? Doe it complicate other techniques? I don't really know, and I want answers. It's a thing! Up-down motion is used regularly. Cublex (CBX) and xyrnq like this. If you're not going straight from up to down but rather from up to somewhat close to down, it is very possible (speaking from experience; happens mostly when you haven't played with a stick for too long). Nah, it's just because I can't make a straight line. 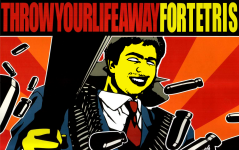 It's set to 4 way. I occasionally deviate a little and trigger the left or right motion. It happens more on the right than left. I end up accidentally zangi-moving more than I'd like to admit. It's mainly when I'm trying to play faster than I naturally play. I think a lot of us started out using a keyboard, and you can get to a very high level on a keyboard, @Nick has an S13 using keyboard for example (at least I assume, he used keyboard reasonably recently at the very least). 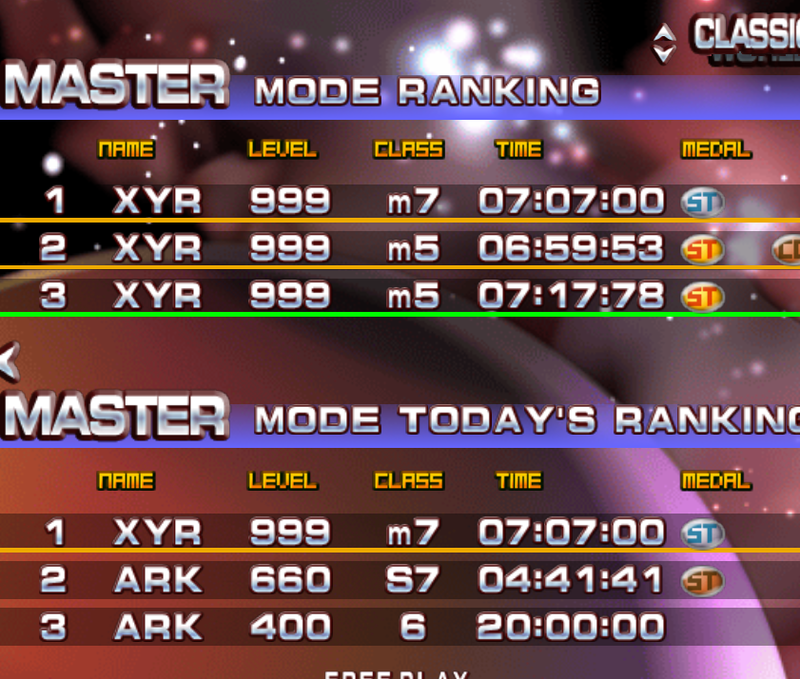 Keyboard is generally fine for tetrisconcept leaderboards and such, yeah. I would consider it more difficult to use in low gravity sections, but it's also probably better than stick for 20G play. 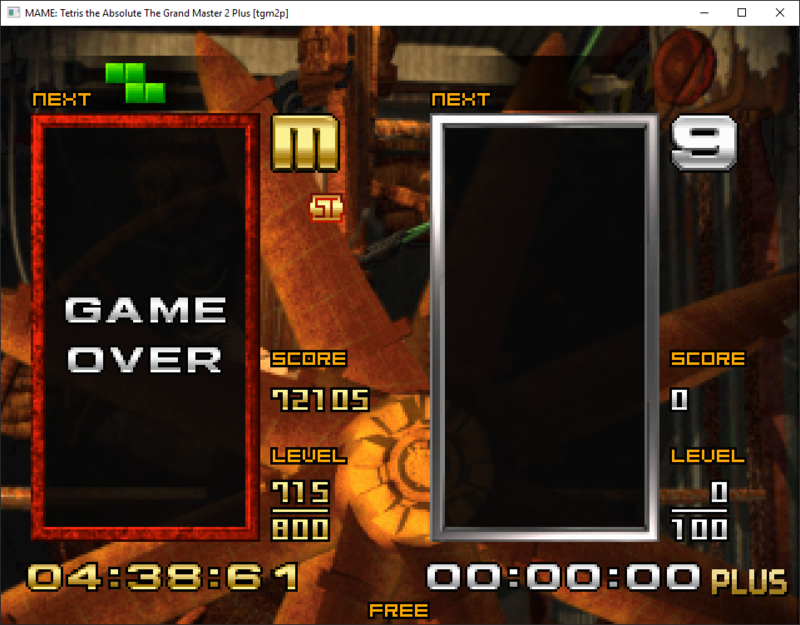 I still find TAP Master time attack pretty tolerable despite the fact that I only use keyboard. Huh, you guys must be doing some crazy stuff! I can honestly say that that's a problem I've never had in 4 way. 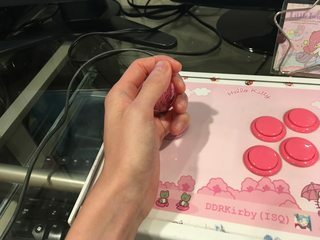 How do you grip the stick? It's basically a loose death grip, all of my fingers are on the same side of the ball. 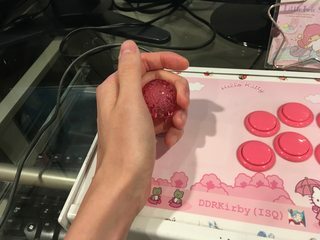 I've been toying with trying to have my little finger under the stick and the rest of my fingers above the stick, but it feels so unnatural to me. I've seen a number of newer players (or those transitioning away from keyboard from the first time) have input problems due to an underdeveloped grip. I've never quite been able to come up with the right language to teach and correct. Trying to think about it now, maybe in some cases it has something to do with rotating the hand inward, which would bring the joystick down and very slightly to the right (rather than axis-aligned with the joystick gate). I think either an adjustment in grip angle or use of the fingers/thumb to direct the stick allows a more consistent up-down motion. Huh, that rotating of the hand inward may correct a few things with the way it feels to have a finger or two under the stick. I'll give it a shot later on tonight and report back! 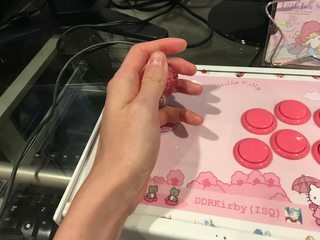 I may have oversold how hard I'm gripping in my last post, it is more or less my fingers and thumb, but occasionally my palm does get involved, mainly when shoving right, but it is probably the main cause for my accidental right inputs as well now that I give it some thought. Yeah that is gonna cause some crazy problems. At higher speeds it's probably completely untenable without ruining your wrists too. I've decided to take a picture to clarify my grip. I'd like to change it to have my little finger on the other side of the stick. I've never noticed any particular pain coming from long session though, although I'm not *that* fast either. I know I'm super late to the party, but I actually also have the problem of accidentally getting a left/right directional input often, especially if I'm out of practice on stick and have been using keyboard exclusively. 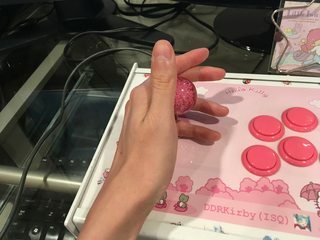 I use a pretty finger-based grip, so I use my fingers to push the stick around rather than actually moving my hand much. 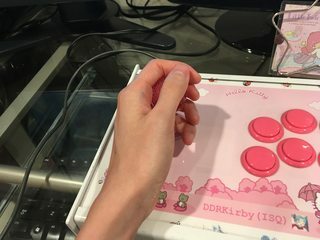 It's similar to the gif above except I nestle the stick deeper in my fingers and use the part between the first and second joints of my fingers to press downwards (as opposed to between the first joint and the fingertip). The stick itself is positioned between my ring and pinky fingers. Down: Middle and ring fingers pull downward. Right: Hand pushes right, mostly contacting at the middle finger. Left: Hand pulls left, using thumb and fingers. Getting straight from up->down for me is actually pretty consistent, but I have a lot of issues where I try to do a half-circle zangi going left -> up -> down and I get left -> up -> right -> down instead. In fact, analyzing it a bit more, that specific zangi is probably my most common input error at 0G. Something about a quick left -> up motion makes me more prone to pushing rightward against the stick as I would for a full left -> up -> right -> down zangi...something that I'll probably just have to learn to be more precise about rather than flinging the stick around. I have no idea whether this sort of grip or finger usage is common; it's just what seems to work best for me.